TIGO SF brings high-end measurement technology to the production floor. The premium shop floor solution improves inspection accuracy while the innovative operating concept simplifies the measurement of industrial workpieces. 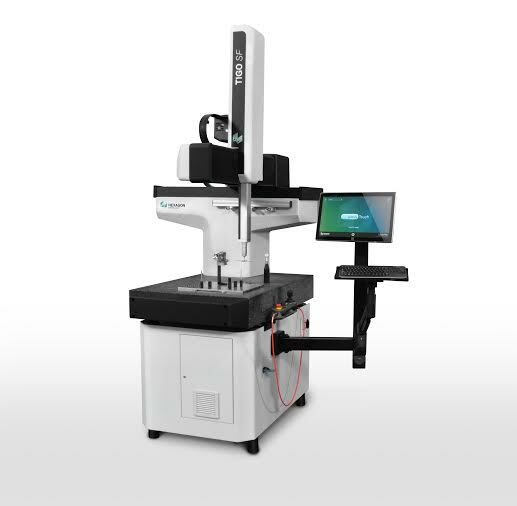 Hexagon Metrology launches TIGO SF – an accurate and compact 3D-coordinate measuring machine (CMM) specifically designed for use on the shop floor. TIGO SF is the ideal measurement solution for a wide range of accurate, small and medium size parts from all industrial sectors. With a measuring volume of 500 x 580 x 500mm (X/Y/Z), the machine boasts a volumetric accuracy making it the most precise shop floor CMM in its category. Several features ensure that measurements are extremely accurate even in the demanding conditions of the shop floor. Enhanced structural thermal compensation allows measurements in a temperature range from 15 to 30 °C. Passive dampers protect the machine from most common vibrations on the shop floor. For extra protection, active dampers are available. Additionally, the machine is fully equipped with covers and bellows to prevent contamination of the moving parts; the machine stand that houses the electronic equipment is also available in an IP54-certified version. Since TIGO SF is compact and compressed air is not required, it can be placed seamlessly in production cells or in any area of the workshop. Its robustness and reliability ensures minimum servicing while operating time is maximized. The TIGO SF comes standard with the ultra-high accuracy LSP-X1c probe sensor to support scanning and point-to-point measurements. Alternatively, TIGO SF can be equipped with the indexable TESASTAR-m probe head, reaching over 3,000 different positions to allow measurement of features anyhow oriented on the workpiece, without using complex star styli configurations or rotary tables. In addition to those features enhancing accuracy for the manufacturing environment, TIGO SF offers a new way to interact with a shop floor measurement device. The core of the operating concept is the PC-DMIS TOUCH software, designed for touchscreens and latest generation operating systems. The graphical user interface shows easy-to-understand graphical elements and commands providing the base for an intuitive measurement process. PC-DMIS TOUCH guides users from one step to the next so that even personnel not familiar with automatic measurement systems will learn to use TIGO SF after only one day of training. For more demanding applications the conventional PC-DMIS and QUINDOS measuring software are also available. TIGO SF is immediately available in the EMEA region from Hexagon Metrology’s commercial operations and its network of dealers.